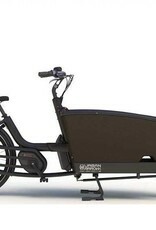 From the Netherlands, the Urban Arrow Family is a sleek cargo bike for carrying kids, pets, and gear. It features a Bosch mid-drive motor with four power levels and NuVinci N380 shifting. 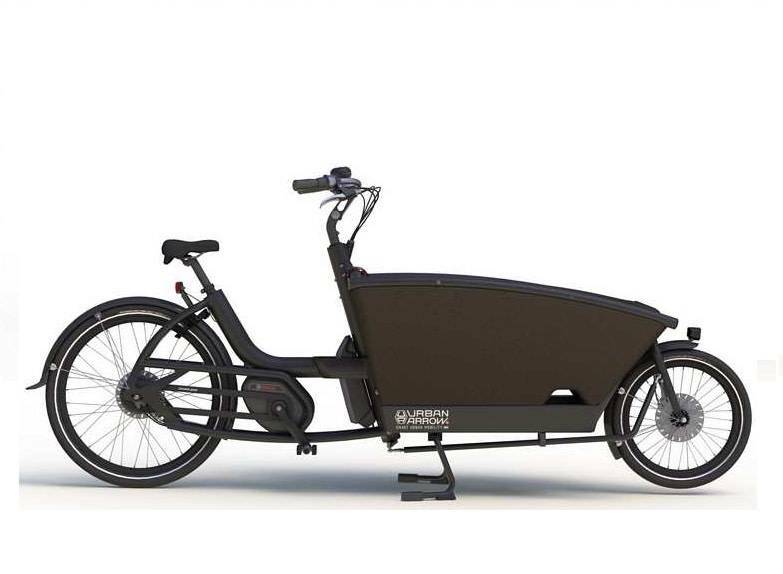 The big roomy box comes with one bench with harnesses for two children, hydraulic disc brakes, integrated lighting, full fenders, chain guard, wheel lock, and a bell. You can add a second bench ($199), rear rack ($89), or rain/wind tent ($299). We have an Urban Arrow Family available to demo. Ready to buy? Let us order one for you.